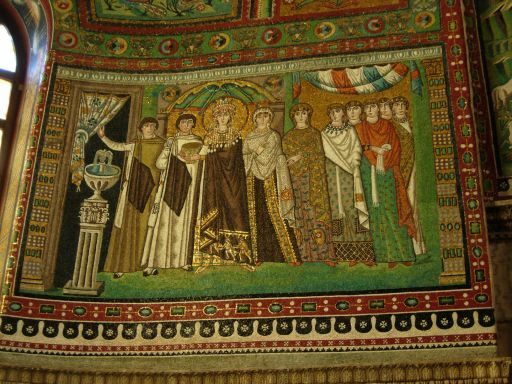 After the close of the Enoch seminar, the Pfanns traveled to Ravenna, Italy, where they encountered some beautiful 5th century Byzantine mosaics. 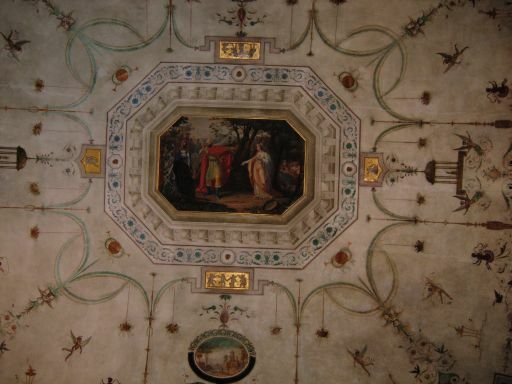 The first photo is an example of what lies under the roofs of some of Ravenna’s churches. The second graced their hotel room – at no extra charge! After sightseeing in Venice, they arrived in Ljubljana, Slovenia, where the conference marking the 60th anniversary of the finding of the Dead Sea scrolls begins today. Dr. Pfann will be presenting a paper to the International Organization of Qumran studies. His topic: the diversity of sources for the Qumran cave finds. If you are interested in learning more, Dr. Pfann recently summarized his ideas in these two blog posts: Unity and Diversity at Qumran I and Unity and Diversity at Qumran II. Receive an eBook on the Dead Sea Scrolls by University of the Holy Land President.